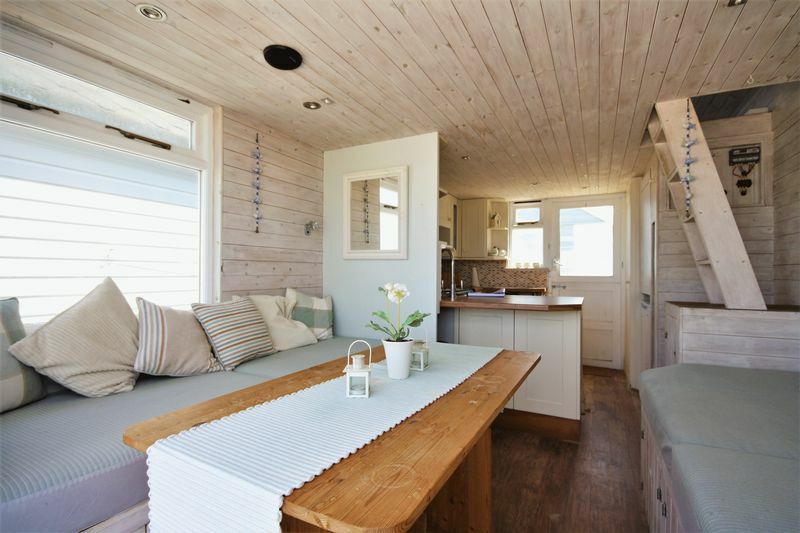 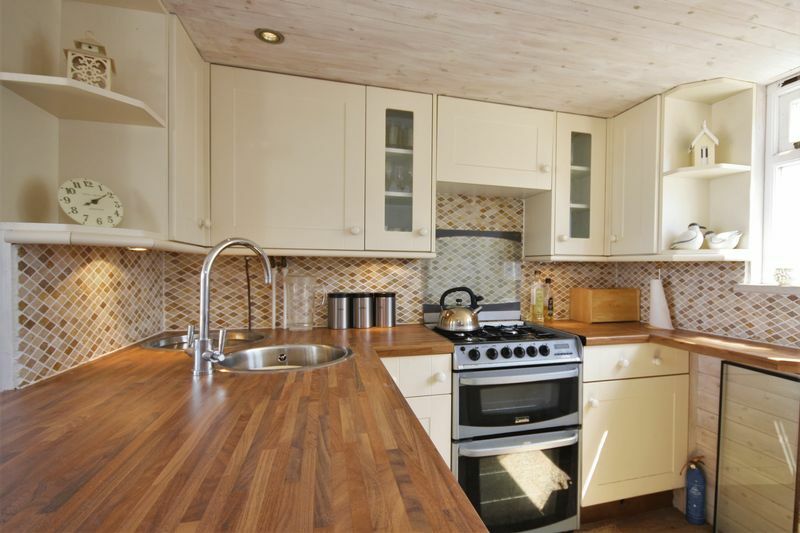 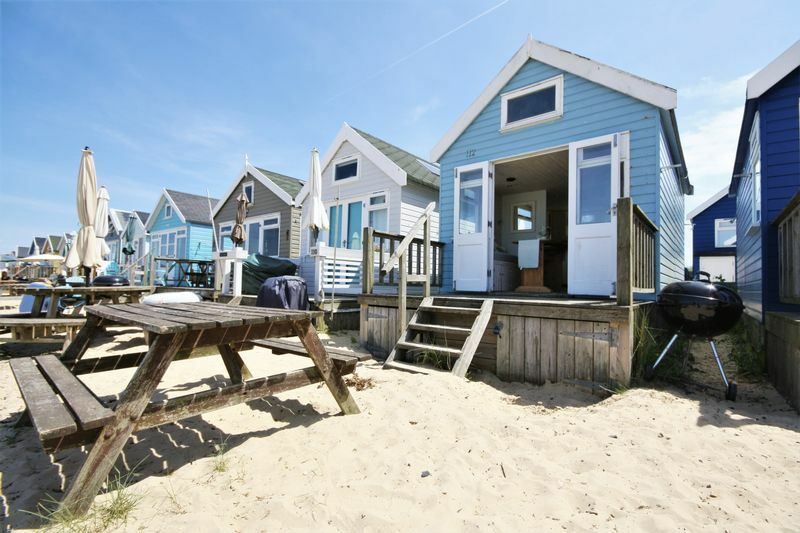 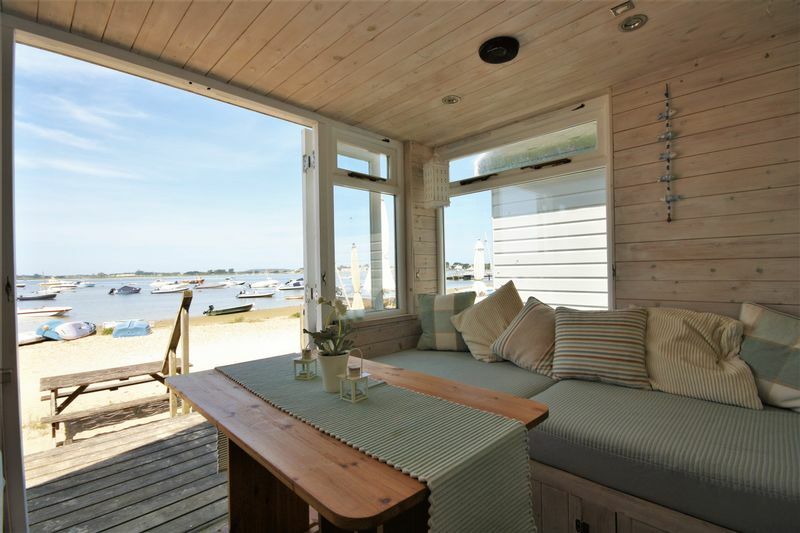 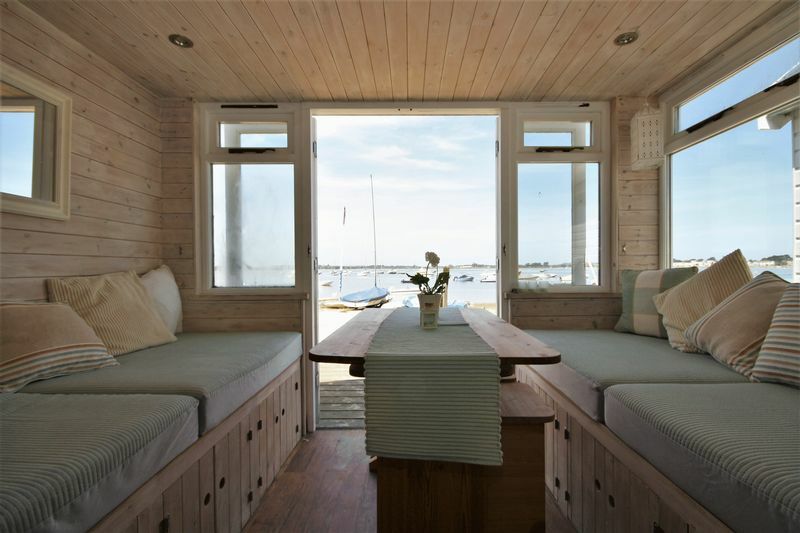 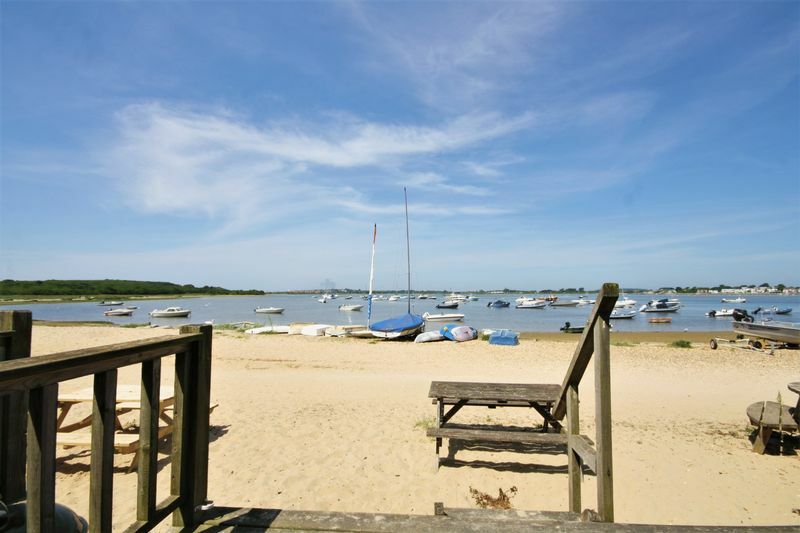 STUNNING HARBOUR VIEWS and an IMMACULATE INTERIOR make this one of the most desirable huts on Mudeford Sandspit. 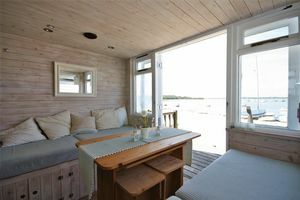 Situated just a SHORT WALK from the restaurant and ferry terminal hut, 112 is EASILY ACCESSIBLE, and benefits from having a sandy area directly in front, ideal for entertaining. Double doors at the front of the hut open out onto a TERRACE, which enjoys the DELIGHTFUL HARBOUR SUNSETS. 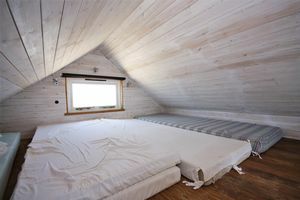 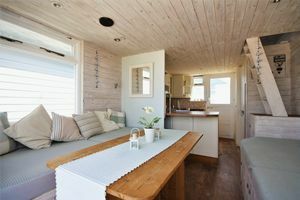 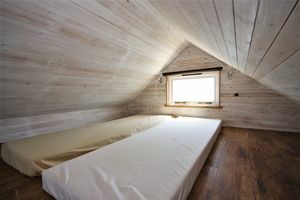 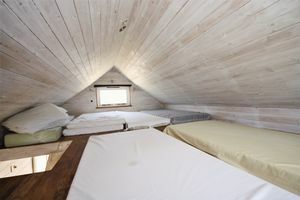 To the front of the hut there is AMPLE SEATING, which can also be used as additional sleeping accommodation for 2 people. A MODERN KITCHEN is kitted out with everything you need including a gas cooker, fridge freezer, sink and ample cupboard space. 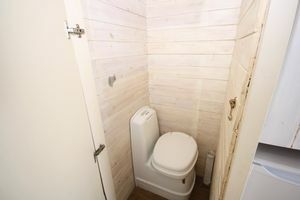 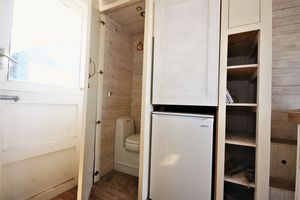 A chemical toilet is situated at the back of the hut for convenience. The mezzanine floor has two windows and gives sleeping accommodation for 4-5 people. 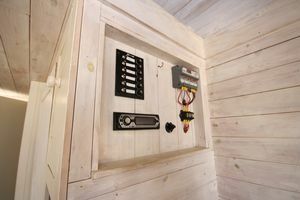 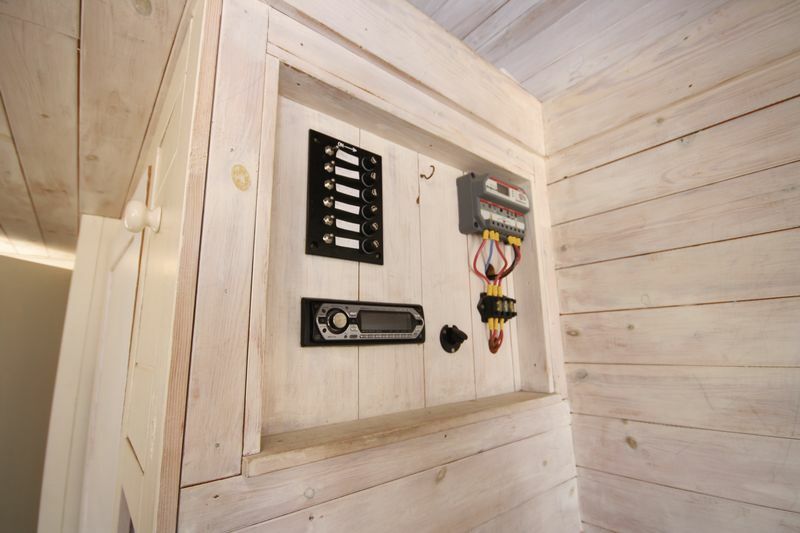 Solar panels power LED lights, a water heater, 12v power points and a speaker system.